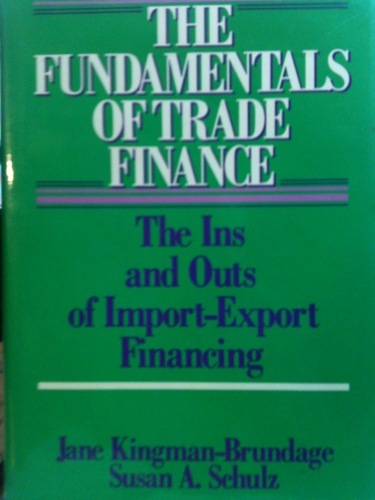 245 1 4 %a The fundamentals of trade finance : %b the ins and outs of import-export financing / %c Jane Kingman-Brundage, Susan A. Schulz. 260 %a New York : %b John Wiley & Sons, %c 1986. 300 %a XVIII, , 282 s. : %b rys. ; %c 24 cm.